LollyTalk offers comprehensive gifting solutions with our handmade candy. 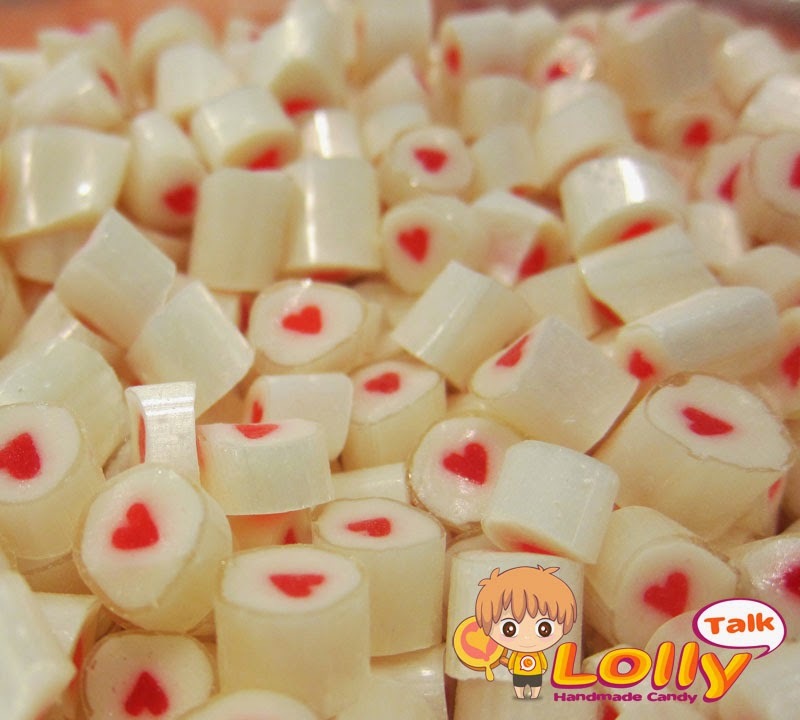 We have a wide range of readily made candy that comes with various messages and design. We also provide customization of candy and pack them into various personalized packagings for various gifting needs. You really have to try a LollyTalk to understand why so many people chosen LollyTalk. Handcrafted with the finest ingredients and with an award winning recipe. Ideal gifts for various occasions! 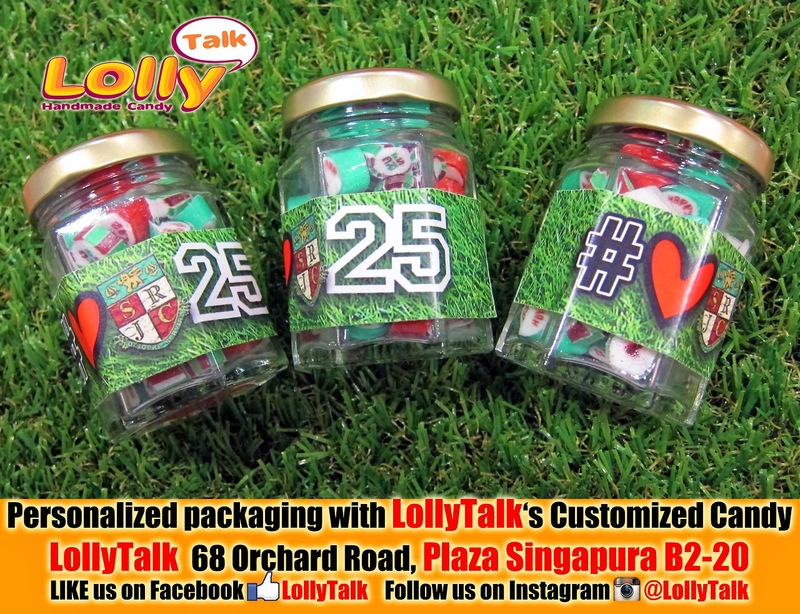 LollyTalk customised lettering lolly for Serangoon Junior College, celebrating their 25th Anniversary. 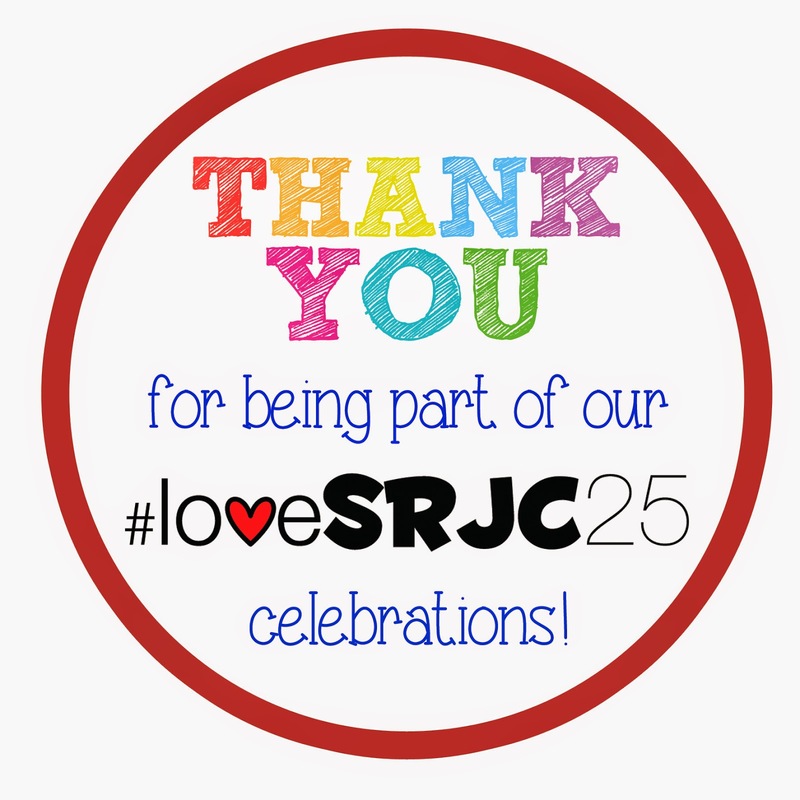 (#loveSRJC25) LollyTalk customizes lollies with personalised packagings for various marketing needs such as road show giveaways, seminars door gifts, celebration gifts and various gifting needs for corporate events. and mixing in with our readily made, popular White Heart (Lychee flavour). These hybrid selection of packagings allow the school to use the lollies for various purposes and for various distributions requirements too. Is a very nice combination where they get the posh and grand looking of the glass bottles as door gifts while having the light and convenient aluminium coated ziplock bags given out for easy to carry around. 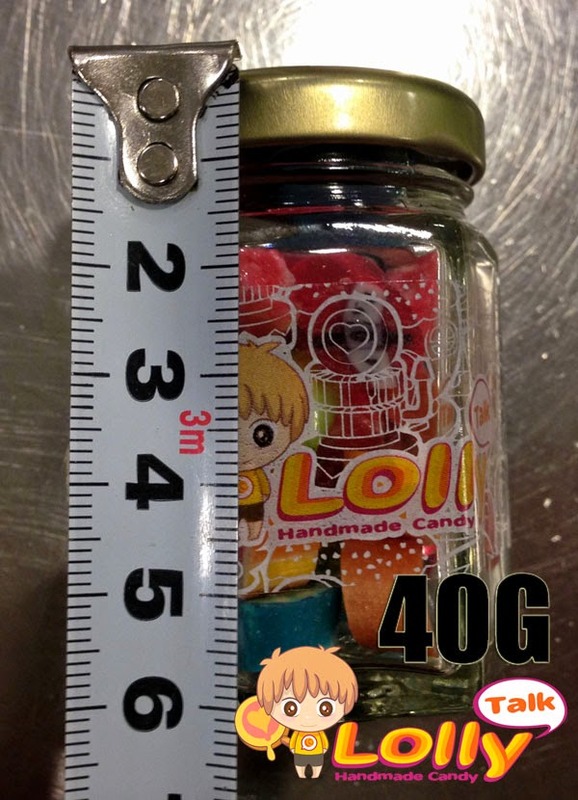 SRJC (Serangoon Junior College) is one of the many good examples of how LollyTalk assisted schools & institutes to customise their lollies for events! chosen LollyTalk, what about you? 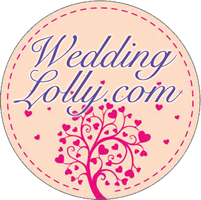 LollyTalk handmade candy is the Ideal door gifts for various parties, corporate events, wedding favours, baby shower door gifts and events giveaways! Do visit LollyTalk flagship retail outlet, located conveniently at the heart of Singapore's shopping district, 68 Orchard Road, Plaza Singapura B2-20, come and immerse yourself in the complete lolly shopping experience everyone is talking about. Contact us today for getting your customised candy as gifts! For more case studies, do check this out.